Is this the most haunted road in Pembrokeshire? Pembrokeshire Beyond have been bombarded with a plethora of strange occurrences and experiences on one quiet stretch of Pembrokeshire road linking Merlin’s Bridge with Haverfordwest. Clay lanes is a small road that is often used to avoid the build-up of traffic that brings Haverfordwest to a near halt and apart from a small riverside hamlet has little but fields, hedges and an old ruin. It now begs the question is this Pembrokeshire’s most haunted stretch of road? Clay lanes has always had a history of paranormal activity, however that activity seems to have greatly intensified as reports of strange encounters reach the paranormal chronicles offices. Here is a selection that we have been allowed to publish and as always we ask that if you have any information, had your own encounter or have a view or opinion then please get in touch. Please complete the poll at the end of this article as part of our research. Skeptics and believers are all welcome as we journey into the unknown. Also we ask that anybody that tries to investigate these accounts and try to run this gauntlet of paranormal events to please keep safe. As you travel down clay lanes you will come across the ruins of the 13th Century mansion of Haroldston, said to be the birthplace of Sir John Perrot (of Carew castle), illegitimate son of Henry VIII. The site is a complex of ruined late medieval and Tudor buildings and formal garden areas. The dominant building element is an L-shaped ruinous tower. The Ruins have been well documented by the Paranormal Chronicles (see archives) with sightings of a white or Grey Lady, strange shapeless indiscernible shapes and a medium claiming that the body of a young lady is hidden near the hedge by the road and it is her spirit that brings a tragic darkness to the area. It is the stretch of road by the foot path entrance to the ruins that is said to cause the most alarm. Over a dozen witness accounts have described an overpowering dread while walking the road late at night. They have experienced a sense that the night is enclosing in on them, that it becomes unnaturally cold and some claim that they have heard their names called from the blackness. A dread or a depression is said to engulf the body and it is like all sense of hope and love is vanquished. One Witness, a former soldier, said that he left Merlin’s bridge in the early hours after“A sesh” at his friends and admitted he was “Not in the best shape to be walking home” but half way down Clay lanes he could have sworn that he heard his name being called by someone up ahead and that he lost his night vision and stumbled to the ground and felt like the night was enclosing on him. He said he sobered up pretty quickly and ran home but said that the experience was one of the most “terrifying” he has ever experienced as he felt that something down there “was toying with him.” One gentleman said that while driving this particular stretch of road one evening that he saw a hooded brown figure stood by the telegraph pole. It was not so much the figure that spooked him but the feeling of dread and despair that enveloped him. He drove home at speed and only drives that stretch of road at night when absolutely necessary. This is a common complaint. A few meters up from that distinct part of road is responsible for one young gentleman having a terrifying experience on the early hours of November 3rd of this year. He had picked the new Call of Duty from Game in Haverfordwest as part of their midnight launch. He decided the quickest route home would be the Clay Lanes to his home in Merlins Bridge. He said it was raining and blustery. He got to the section of Road and just ahead of him he thought he saw someone walking towards him. He didn’t like the idea very much as it was approx 12.40am on a Monday morning and was concerned that he was going to be mugged for his wallet or for his game. As the figure got closer he realized that it was just the outline of someone and that he could “see right through it.” He said you could almost see the rain hitting it, as if it had an outline and the strange transparent figure simply walked through him, gave him a deep icy chill and left him breathless. The man ran and did not stop till he got home. He told his friends who suggested that it was perhaps the Predator but he is adamant that what he saw was very real and very terrifying. Another young man using Clay lanes one night to go jogging said that while running he thought he heard an animal running next to him in the hedge. He said that such things did not normally concern him but as he ran he realized that this animal was not only quite large due to the noise it was making but also it was very near him and deliberately keeping up the pace with him. The gentleman decided to sprint the last stretch and up to the comforting light of Merlins Bridge and when he reached St marks school and looked behind him he saw peering back at him from the darkness a pair of large golden eyes. The eyes blinked and vanished. Was this just a curious indigenous creature or had the man’s jogging in the night disturbed a very strange entity? Are this incidents related, perhaps they stem from one paranormal epicenter or are they nothing more than over active imaginations on a lonely and at times bleak road? One thing that all the arm chair investigators should quiz and mull over is how so many people are experiencing so many strange and detailed occurrences on such a small stretch of road. Is there an explanation? What do you believe? We will keep reporting and investigating and will update as soon as we have further information. 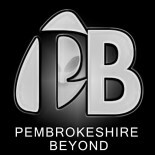 Pembrokeshire Beyond is proud to serve the county of Pembrokeshire. This entry was posted on March 29, 2015 by The Paranormal chronicles in Ghosts and Hauntings and tagged Ghosts, haunted house, hauntings, roadside#, unexplained.